Seattle Children’s neonatologist Dr. Sandra Juul has been studying the effects of erythropoietin on preemies for 19 years — and she believes it is the key to combating the negative effects of extreme early births. 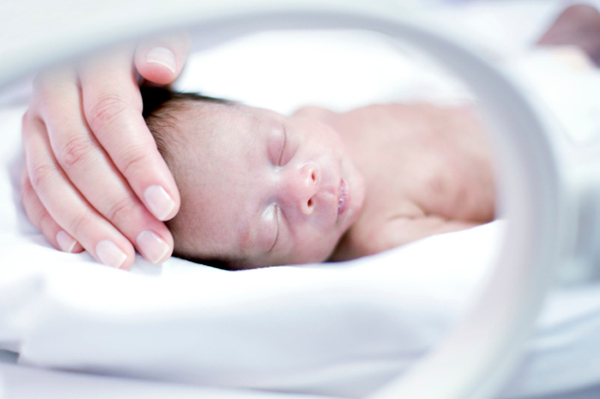 Between 40 and 50 percent of extremely preterm infants — those born between 24 and 28 weeks of gestation — die or have moderate to severe neurodevelopmental impairment. According to Dr. Juul, these impairments can include cerebral palsy, mental impairment, blindness and deafness. "We are extremely excited at the prospect of being able to better the outcomes for preterm babies." Juul believes that erythropoietin (Epo), a hormone that is produced in the brain and kidneys and is essential for baby's survival, is the key to improving the lives of preterm babies because it has the ability to protect cells in the body. Based on her many years of research, she believes that Epo can be used to protect babies' brains from neurodevelopmental damage cause by extreme early delivery. Epo is currently used in a lower dose to treat or prevent anemia in preterm babies because it stimulates red blood cell production and can also reduce the need for blood transfusions. Dr. Juul and her team are currently in the process of enrolling preterm babies for her study, dubbed the PENUT Trial. The trial has 5 percent of its goal of 940 preterm infants, though enrollment just recently began. When a mother is admitted into one of the participating hospitals or research sites (there are 18 sites and 29 hospitals participating nationwide), the Epo trial is discussed with the parents. Juul says, "If the moms are admitted to the hospital prior to the birth, we discuss the opportunity with them then. Sometimes, if the baby is delivered urgently, we speak with them after the delivery." However, preterm babies are screened to ensure that they qualify, as there are some exclusionary criteria, and then must be admitted into the trial program within 24 hours of birth. From that time, the enrolled babies will be given 1,000 units/kilo of Epo every other day for six doses. At the age of 2, researchers will test the patients' mental and motor skills to see how the hormone affected brain development. Juul notes that survival rates of preterm babies are much higher than in years past. However, she wants to improve the outcomes for the babies that are surviving extreme early delivery. "Right now," Juul says, "there are no medications to treat preterm babies. We are extremely excited at the prospect of being able to better the outcomes for preterm babies. But first we have to make sure it's safe." Through the clinical trials, Juul and her team will be able to fine-tune the proper Epo dosing to ensure better outcomes for preterm babies is safely achieved.